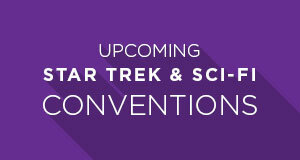 On December 13th, Star Trek fans will be in for a treat, half a century in the making. The Roddenberry Vault, a treasure trove of unused material from the entire run of the Original Series, will be released to the public. With the vault comes insights into alternate takes, omitted dialogue, deleted scenes, and other behind-the-scenes snippets that were very nearly swept away in the trash, if not for the foresight of Gene Roddenberry to save such important material. Mike and Denise Okuda, known to Star Trek fans as the couple behind the computer graphic designs of every Star Trek series and movie since The Next Generation, are the leads on this massive restoration project. 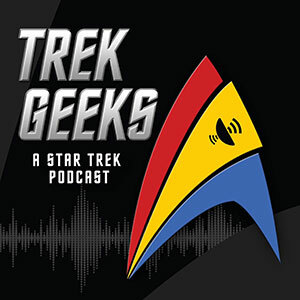 They recently sat down with TrekNews to grant insight into the making of The Roddenberry Vault, as well as their recently updated Star Trek Encyclopedia, and their thoughts on the future of Star Trek. The restoration and release of the vault material has been a nine-year-long project for Denise and Mike. Appropriately, getting the long-lost material into the hands of the public is a big deal for them. The vault includes snippets of footage, such as items as minor as an unused miniature shot of the Enterprise, or an alternate angle of a scene not included in the original episode release. 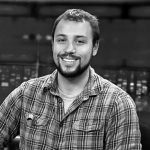 One would think such material is only for die-had Star Trek fans, but the Okudas hope this material grants insight into the show that even moderate Star Trek fans can enjoy. 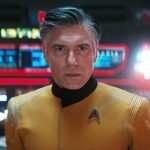 The main way the vault accomplishes this is through a three-part documentary that weaves together the lost footage with interviews from Star Trek actors, crew, and public figures who are fans of the show. 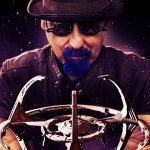 While fans will have plenty of material to study when the vault is released, it also begs the question of whether other vault-esque projects about TNG, Voyager, or Deep Space Nine are possible. The Okudas were also heavily involved in the high-definition remastering of both the Original Series and The Next Generation. 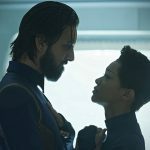 Both noted that if the decision was made to go ahead with other remasters of Star Trek series, “we’ll be front and center ready to help.” However, no such plans are in the works at this time. The Roddenberry Vault isn’t the only project the Okudas have released this year. They recently updated the Star Trek Encyclopedia to include information from all of Star Trek: Enterprise, five seasons of Voyager, and the four most recent feature films. 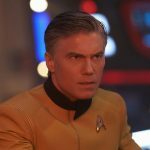 “The 50th anniversary of Star Trek was a big year, and we are excited to have projects like The Roddenberry Vault and the Star Trek Encyclopedia come out, but we are also excited that they are celebrations of Star Trek‘s 50th anniversary,” added Mike. 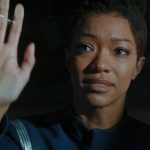 The Okudas also touched upon their thoughts of the direction of Star Trek, considering both the incoming Discovery and the recent feature films. 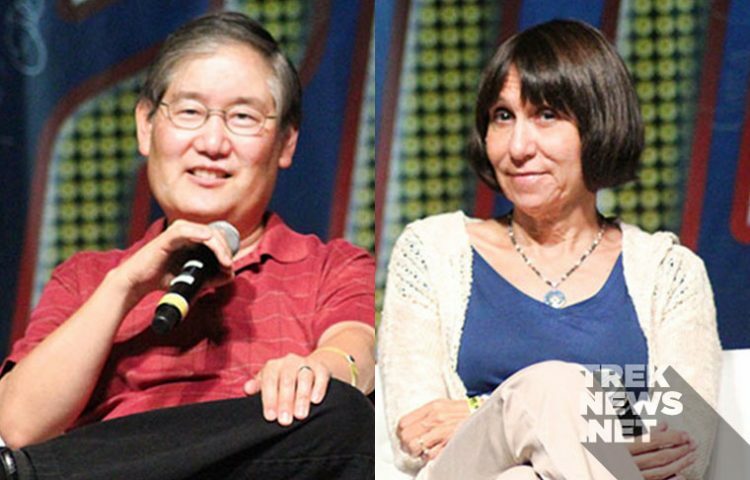 For now, though, the thought of having new material from Star Trek gives the Okudas a great sense of pride, and they hope that fans can come to appreciate the making of the legendary show even more. 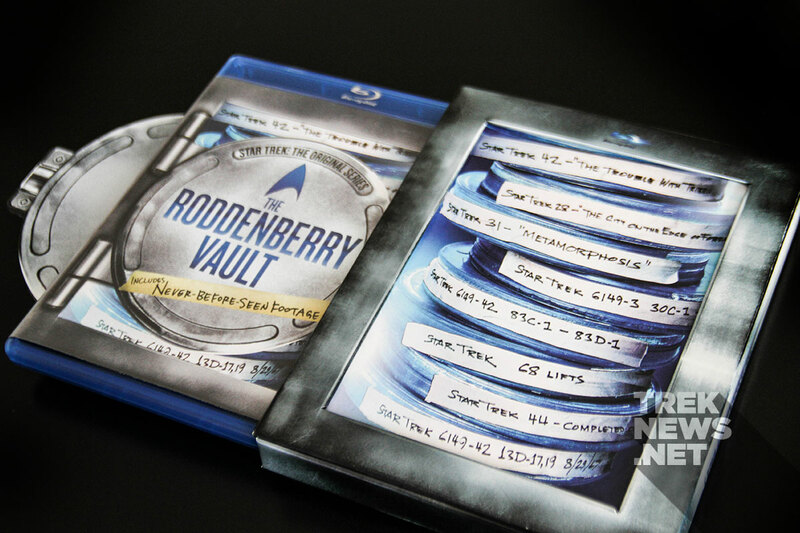 Read our review of The Roddenberry Vault.